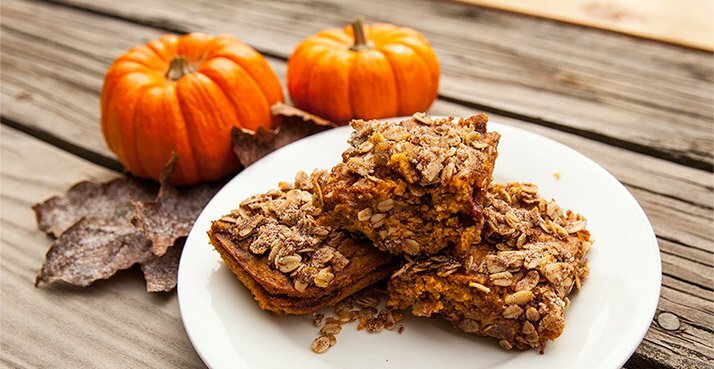 Healthy Recipes: 8 Delicious Protein Pumpkin Recipes! 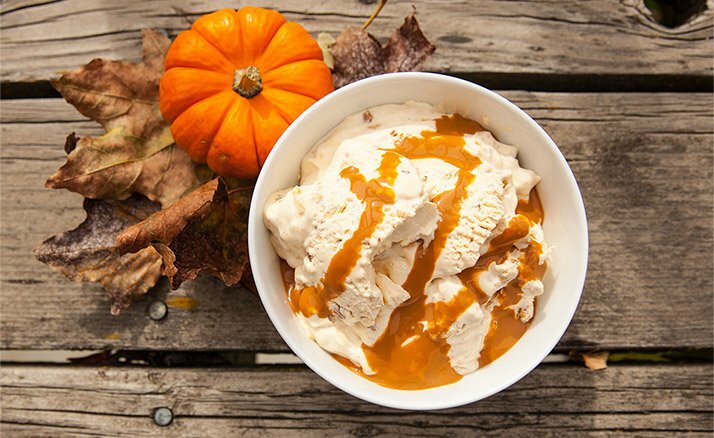 Nothing says fall like the sweet taste of pumpkin. Add the seasonal treat to your meal plan with these dessert recipes that are sure to take any meal to the nines! If summer is symbolized by surf, sun, and sand, fall gets kicked off by sweater weather, the changing of leaves, and a plethora of pumpkin. From pumpkin-scented candles to pumpkin-spiced coffee, this gourd holds center stage once autumn rolls around. It's the silver—or rather, orange—lining to darker days and cooler nights. Say goodbye to the lazy summer months the right way by indulging in these seasonal recipes that are sure to fuel your gains! Peanut butter cups: delicious. Pumpkin: equally tasty. What could be better than having both of these things in one day? Having them both in one meal, of course! Create the perfect treat with this recipe from IFBB Physique pro Alex Carneiro. Who says you can't have your pie and eat it, too? 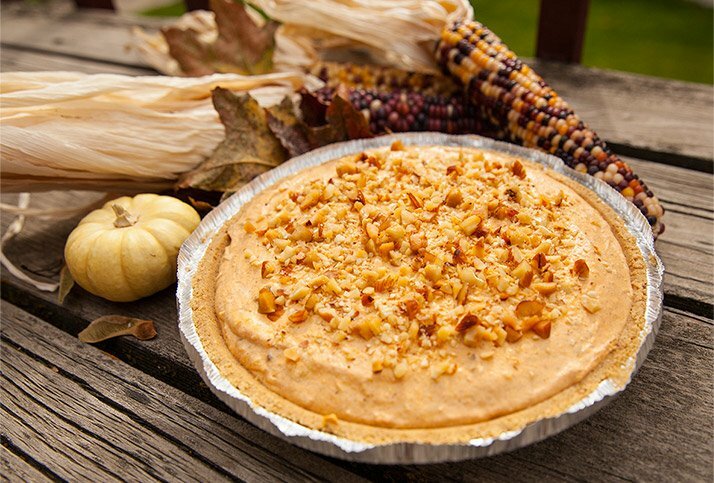 Cut carbs and fat—and keep the taste—with this healthy take on traditional protein pie from IFPA and NGA Bikini pro Ashley Leahy. The best part? If you whip it up for Thanksgiving, you can help yourself to a guilt-free serving of seconds. Of course, Thanksgiving's not until November, so feel free to run a test batch or two in the interim. It's just that good! Don't fall prey to the temptation of warm cinnamon buns. Instead, try this recipe by Optimum athlete Kate Osman. With pumpkin-flavored dough and a sweet, cream cheese glaze, these rolls are sure to taste like a full-on cheat meal without the hefty nutritional price tag. Coming in at under 200 calories and packed with 17 grams of protein, they're fitness-pro approved! Muscle Building Whey Protein PowderGo Now! Who doesn't love baked goods with crumbly topping? Throw in pumpkin and cranberries, and you've got athlete Maria DiNello's winning recipe that's sure to top your list of seasonal favorites. There are times when Jell-O just doesn't hit the spot and pudding's consistency doesn't feel quite right. That's when mousse is the perfect solution! There's nothing quite like that creamy thickness that also carries an airy consistency. 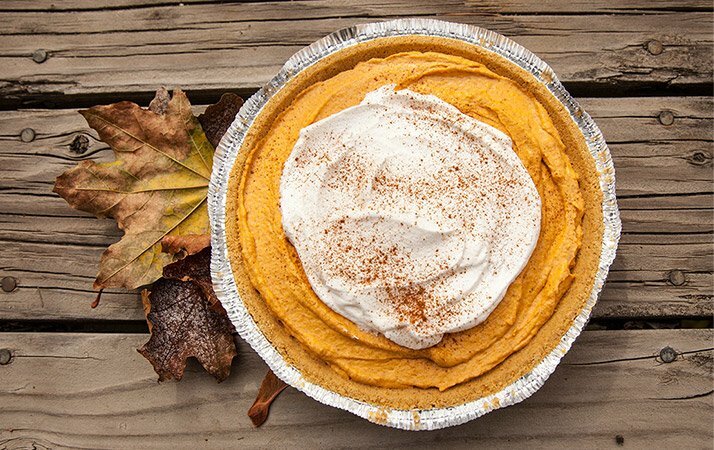 Get your fill of this flavorful treat with bodybuilder Amber Passini's pumpkin-filled dessert! Protein bars are great go-to snacks. They're portable, easy, and give you something to reach for in lieu of that bag of chips. More often than not, you can also add delicious to the list. 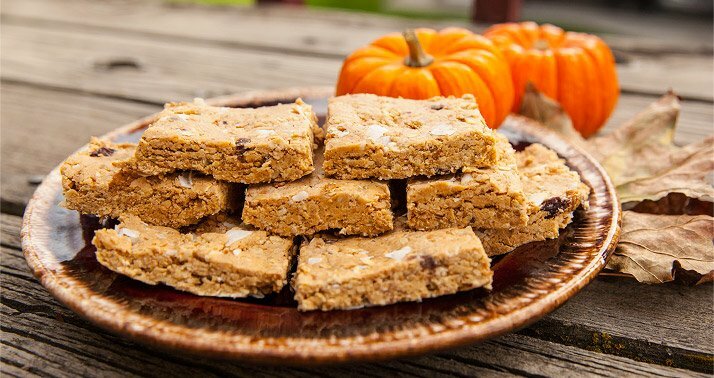 If you're looking for a pumpkin bar recipe that doesn't fall short, reach for this one from Optimum athlete Sean Royer. Bikini competitor Dayna Tappan's favorite fall flavor comes with a hefty price tag—a cool million, to be exact. 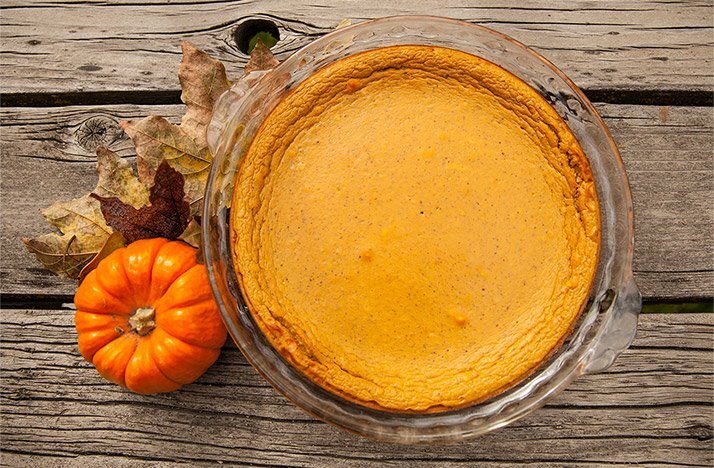 With pecans, almonds, and a graham cracker crust—not to mention a generous serving of pumpkin—this pie is well worth its name.